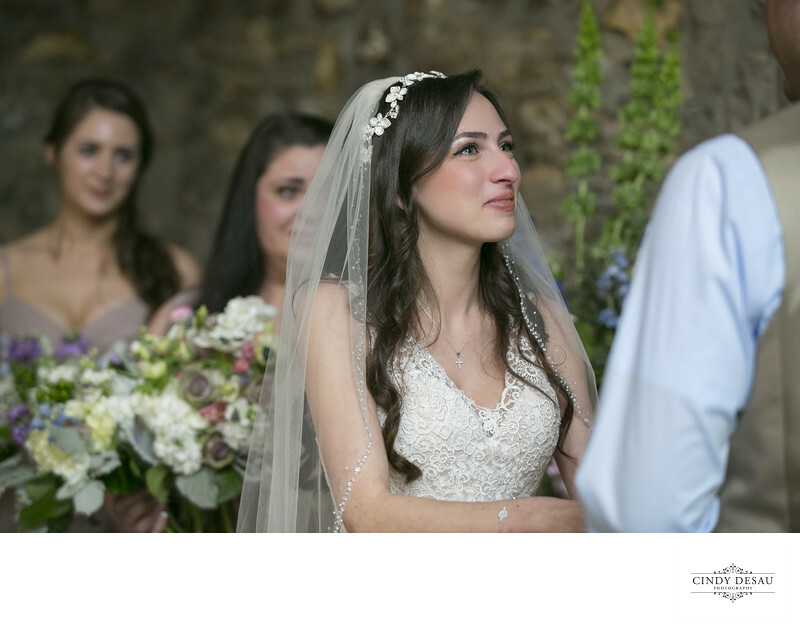 The wedding ceremony can be such an emotional time, and it was for this bride. Her happiness and love clearly shows in her eyes as she says her marriage vows with her groom. I love showing raw emotion such as you see in this image. Part of my job as a wedding photographer is to document my bride and groom’s day unobtrusively, which I pride myself on.